Are you a car owner? Do you want to know how to increase fuel efficiency of your vehicle? If yes, then you should know factors that lower fuel efficiency. Fuel economy is still on the minds of automobile owners all across the world. It is essential for every vehicle owner to know what determines a car's mpg? Why can few automobiles zip along at near about 40 mpg whereas others get near about 20 mpg anywhere? Well, as it turns out, numerous factors affect your automobile's performance. Do you know using 4-wheel drive lowers fuel economy? Let us have a look at top 5 factors that matters a lot. 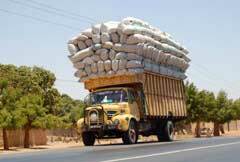 Excess load- Try to get the lightest automobile, which will serve all your needs. Remember, weight is one of the major reasons for loss of kinetic energy in non hybrid vehicles. Weight is most important aspect if you are used to do stop-and-go driving. In case of exclusively highway driving, weight matters a bit. If you already own a vehicle, then try to lighten load. If you own a car with removable seats, then take them out. Extra weight of 100 pounds increases fuel consumption by 1 to 2percent. Driving car at high speed- May it be a truck, car or sport utility vehicle, it will use more gas at higher speeds. Majority of automobiles operate at peak fuel efficiency of about 55 miles/ hour. Exceeding this limit can lower fuel efficiency of your vehicle. Using up more fuel signifies visiting the gas station frequently. Subsequently, more trips to the gas station will make a big hole to your wallet. Therefore, you should think about slowing down a bit. This will help you stop taking extra money out of your wallet for fuel. Improper maintenance of vehicle- car maintenance is very important aspect to keep it in a good shape. Proper care and regular maintenance will help your car to run smoothly and efficiently in its long run. Majority of car owners are very careful about getting oil changed on a regular basis. Nevertheless, regular oil changes are amongst the most preliminary yet affordable ways to keep your car running smoothly and effectively. Many people are simply unaware about the fact that regular oil changes limit fuel consumption. Further, you need to ensure that your car is running on the appropriate grade of oil. This will also help you decrease your fuel consumption by 1%-2%. 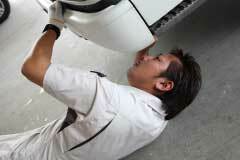 Regular tune-up is another kind of regular maintenance that your automobile needs. It helps to ensure that your vehicle is performing well in terms of gas mileage. The car maintenance, which will let you enjoy the most enhanced gas mileage, is surely to check and replace clogged or dirty air filters. If your air filters are smutty, then replace them as soon as possible. Fuel Variations- there are some fuels, which contain less energy as compared to others. By using reformulated gasoline or oxygenated fuels can reduce fuel economy by 1-3%. Further, the energy content of gasoline may vary depending on the season. Generally, summer conventional gasoline consists of around 1.7% more energy as compared to conventional gasoline used in winter. Road condition- it is an important consideration. Driving vehicle on highways or freeways will help you get a better mileage as compared to driving on a bad road full of craters and potholes. There are a number of factors to consider for keeping your vehicle in a good condition. It simply depends on how you drive vehicle and condition of vehicle. If you want to enjoy efficient performance of your car, then you do need to think about above mentioned factors. This will help you save your wallet on fuel expenditure. So, are your ready to enjoy your fuel efficient vehicle? Get- set and go now!